If you’re a 90s-era adventure game enthusiast, then you are no doubt familiar with the Monkey Island series from LucasArts. These classic games have gotten the facelift and rerelease treatment on the App Store in recent years, with the excellent Secret of Monkey Island: Special Edition [$2.99/Lite/HD/Lite HD] and Monkey Island 2 Special Edition: LeChuck’s Revenge [$2.99/Lite/HD/Lite HD]. Each of these titles retains the core gameplay of the original versions while also adding optional updated visuals and additional modern features, and are pretty essential for iOS-owning fans of the series. 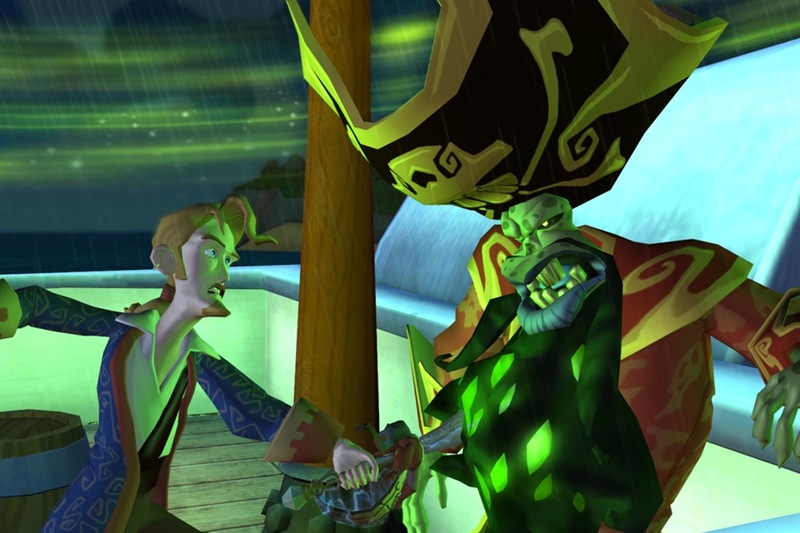 But if you weren’t around for the originals, then there’s a good chance you know Monkey Island from the episodic series reboot that Telltale Games codeveloped with LucasArts for the WiiWare and PC in 2009, called Monkey Island Tales. We quite enjoyed the game in our review from when the first episode came to the iPad last December, and the remainder of the 5 episode collection of Monkey Island Tales was released on iOS earlier this year with equally enjoyable results. While adventure games seem tailor made for the large screen and touch capabilities of the iPad, I think it goes without saying that there’s a good amount of gamers out there that would love to have a version of Monkey Island Tales that fit snugly in their pocket. Telltale has begun to fill this need, as over the weekend Monkey Island Tales 1 [$4.99] was released for the iPhone and iPod touch. It doesn’t really appear that there’s any additional enhancements to this version over its iPad counterpart aside from being formatted for the smaller screen, but when the source material is already pretty great then that isn’t really necessary. If you are an iPad-less iOS gamer who has always wanted to give Monkey Island Tales a try, now is your chance. Or, if you’re already a fan of the iPad version and you just feel like having the game with you in your pocket at all times, you know, just in case, then you should check out the new Monkey Island Tales 1 for the iPhone and iPod touch. We’ll likely see the rest of the series released in smaller form in the near future, too. UPDATE: The price is actually $4.99. Next PostNext ‘W.E.L.D.E.R.’ Review – Save the Words from Going Extinct!